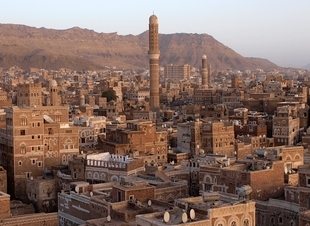 People in Yemen have endured a turbulent time following the 2011 revolution. As the political crisis between Shia Houthi rebels and the government intensified to all out conflict in 2015, the impact on civilians has been catastrophic. The Yemeni constitution announced in January 2015 guarantees the freedom to form associations and civil society organisations. The Yemeni constitution announced in January 2015 guarantees the freedom to form associations and civil society organisations. CSOs are obliged to register with the government and should notify authorities if receiving foreign funds. While independent trade unions do exist, their right to collective bargaining can be vetoed. Homosexuality is punishable by death in Yemen and members of the LGBTI community risk persecution from authorities and religious extremist groups; making the work of LGBTI organisations impossible. Since Houthi groups have taken control of government, new registrations of civil society have become non-existent. Only groups affiliated to the rebels are allowed to operate and independent groups working on working on human rights issues are particularly susceptible to attack. The Houthi rebels have orchestrated the systematic dissolution of CSOs operating in areas under their control. In 2015 alone, Amnesty International documented at least 27 NGOs forced out of operation in Sana’a. Rebel groups have targeted civic organisations for being “foreign agents”, implemented travel bans, raided NGO offices, as well as harassed, intimidated and surveiled NGO employees and activists. Yemeni citizens, political parties, organisations and trade unions have a right to the freedom of peaceful assembly if they notify the authorities 72 hours in advance. Yemeni citizens, political parties, organisations and trade unions have a right to the freedom of peaceful assembly if they notify the authorities 72 hours in advance. Despite such a lengthy notification period being in contravention of international best practice, traditionally the people of Yemen have been able to exercise their right to peacefully assembly. However, this ability to protest has been largely wiped out. On 24th March, 2015 Houthi rebels opened fired on a protest in South Yemen killing 6 people and wounding dozens. Protesters fear arrest, violence and retaliation for mobilising, drawing international condemnation over the dire situation for their rights. However, even in this repressive context some protests are allowed to take place. In March 2016, tens of thousands of Yemenis gathered in Sana’a to show their opposition to the Saudi led bombing campaigns. Despite constitutional guarantees for freedom of expression, journalists in Yemen face extraordinary risks. Despite constitutional guarantees for freedom of expression, journalists in Yemen face extraordinary risks. After the 2011 revolution the number of print and electronic media increased, but these gains were short lived. The breakdown of security, political crisis and open conflict mean that independent reporters are regularly subjected to censorship, threats and violence. At least 13 journalists have been killed in Yemen since 1992. In practice, state and non-state actors control the airwaves. Arbitrary detention and abduction of critical journalists is rife meaning that self-censorship is imperative to ensure survival. Furthermore, internet freedom is increasingly controlled by the authorities, depriving freedom of expression on the net. All of these factors combine to make Yemen one of the worst performing countries for media freedom in the world.